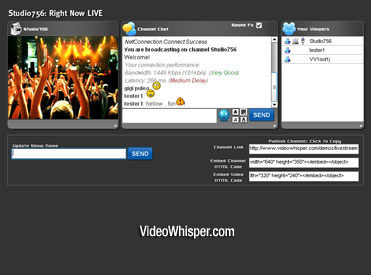 WebRTC is a new real time video communication technology. Support is not available on all browsers and devices but is increasing. The real issue in present is scalability. Because WebRTC utilizes peering networks, there still has to be a nearby node to help distribute the stream to other local hosts. Peering across a global network can be incredibly difficult. Conventional out-of-the-box WebRTC solutions require each client to establish and maintain separate connections with every other participant in a complicated network where the bandwidth load increases exponentially as each additional participant is added. Broadcasters need server grade connections to live stream to multiple users and using a regular home ADSL connection (that has has higher download and bigger upload) causes real issues. While testing with 2 or few users works fine in demos and small load trials, WebRTC limits often show in production mode: becomes unusable when many users are watching same HD stream and broadcaster connection is regular. All startups hope their streaming applications will become a huge success, with thousands of viewers watching. A performer streaming a full hd video at 8 Mbps directly to 100 viewers in various world locations would require up to 800Mbps upload connection. Most ADSL connections have under 100Mbps upload allowing streaming such video to a maximum of 12 users. A solution is to use a relay server for streaming reliable from and to WebRTC clients as implemented with the BroadcastLiveVideo solution. WebRTC is not currently supported by default PC browsers on older systems (Internet Explorer for Windows and Safari for older Mac OS) or generally older versions used by many users. This creates a real issue for organisation networks with standard software distributions, older OS setups, studios and internet caffes with restrictive administrative software or plain newbie users that use their computers with default setup. WebRTC is not currently supported on default mobile browsers either, excepting latest Android. While WebRTC is popular with technology geeks and enthusiasts, many regular users are not able to access such implementation or can use only limited functionality. WebRTC standards are early in the process of ratification. Browsers supporting WebRTC are not fully transparent with updates which can result in issues with the implementation of WebRTC. *Mozilla reports Navigator.getUserMedia as Deprecated and MediaDevices.getUserMedia as Experimental . *IE does not support WebRTC at all but there are plans to introduce some support in Edge browser . PC Browser market share shows WebRTC setup will not work for a lot of PC users due to browser support. Many of these users with default browsers are beginners or restricted by workplace policies from using a different browsers and are unlikely to change their browser. On mobiles WebRTC support is even lower while RTMP is supported both on Android and iOS with apps. RTMP streams can be published to iOS and Android browsers as HLS. Currently, WebRTC is still in development discussion for its complete implementation whereas RTMP is already available for any Real Time Communication project’s deployments. WebRTC could be a solution for the future and RTMP is a solution for the present that could be required for a while. WebRTC could loose the current battle for its standardisation and interoperability, with many implementation proposals over the top web browsers or with a divergent market approach from Google, Microsoft, Apple. RTMP is reliably implemented on all PC browsers with Flash plugin and as stand alone applications for mobile and desktop OS. Depending on ISP and network setup an important share of users can’t connect and stream directly to each other at all. Some experience huge latency (several seconds) and massive frame loss over P2P. Test your P2P network capabilities with this RTMFP Connectivity checker . 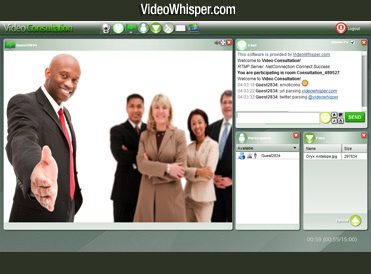 Using a relay server is most reliable solution for video communications. Some providers say only 8% of their users need RTMP but that could be biased considering they emphasise WebRTC / RTMFP sessions that don’t require streaming server costs. Usually most home internet connections don’t go well with P2P unless users are in same or very close network. Server grade connections are usually required for reliable P2P on this technology. In January 2015, TorrentFreak reported that browsers supporting WebRTC suffer from a serious security flaw that compromises the security of VPN-tunnels, by allowing the true IP address of the user to be read. The IP address read requests are not visible in the browsers developer console, and they are not blocked by common ad blocking/privacy plugins (enabling online tracking by advertisers and other entities despite precautions). If your browser is WebRTC compliant test this IP detection tool. Flash was planned to be discontinued a decade ago but alternatives took a long time and browsers continued support as that was the only reliable method to provide certain features as broadcasting webcam. Currently browsers and developers plan to end support for Flash at the end of 2020. Flash support will be discontinued by browsers when other technologies become available and reliable for features previously provided by Flash only (streaming live video from webcam).